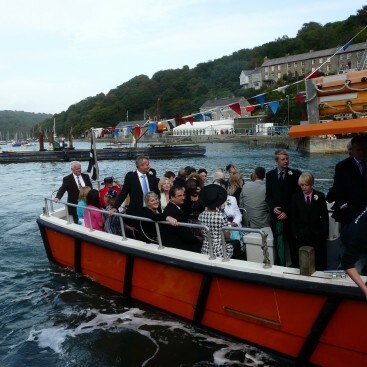 A boat trip on your wedding day is a very special way to show off the river to your friends and family or to simply transport your guests from the church to your reception. 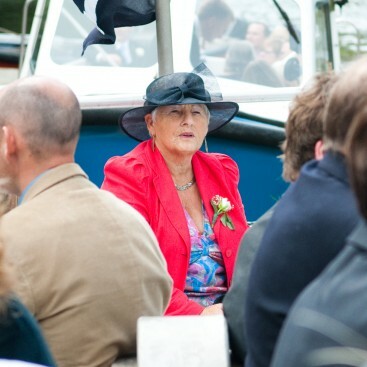 We can speak from our own experience that a river trip makes a magical addition to your wedding which your guests will be talking for many years to come. The harbour and river in Fowey is one of the most beautiful in Cornwall and provides the perfect backdrop to your voyage. Our friendly and helpful staff will be on hand throughout to ensure your guests are looked after. We will plan everything to fit with your schedule and your location requirements and take care of all arrangements. You are welcome to bring your own food and drink on board and we won’t charge you for corkage. When the big day arrives you can be assured that we will look after everything to ensure your guests have the trip of a lifetime. 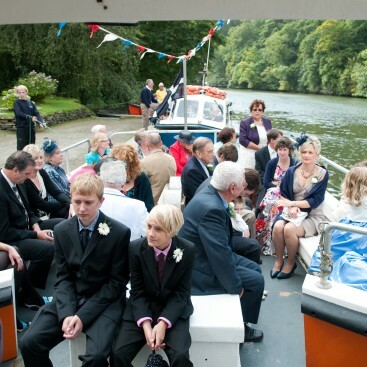 "Thank you for providing such a great service on the river on our wedding day – we absolutely loved the boat trip, it was exactly what we were hoping for!"